Listening is the essential first step and establishes a framework for building strong relationships with your audience. Reciprocity is critical. A strong community includes both you and your readers. By listening to your audience from day one, you align the goals and expectations of both parties and ensure that you remain an embedded part of your community. Your customizable moderator badge makes it easy for readers to spot authors participating in the discussion. To start, read every comment and reply to as many as possible (better yet, reply to them all). Top-level comments are a great place to start since they are typically a response to the story/author. Make sure you’ve turned on email notifications for your site so that new comments receive a quick reply. Faster response times tend to correlate to higher rates of engagement. 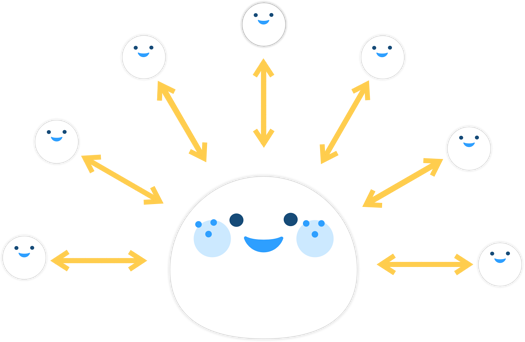 You can also upvote comments you reply to so that others are more likely to see your responses. Replies are one of the best ways to measure how engaged a community is, so lead by example by getting the conversation started. There are many factors that go into creating content that generates great discussion. One overlooked step as a story is developed is to explicitly ask your readers to weigh in. Make a point to include a question in every article that addresses your audience directly and to seed the discussion. Here’s an example from Birth.Movies.Death. If the discussion is just getting started, post a question as a comment and feature it. As readers complete the story, they’ll see a clear invitation to add their thoughts and have the framework for a productive contribution versus a free-for-all. Reminding readers that you want to hear from them is a great way to promote engagement. Don’t limit opportunities to obtain feedback from readers to just the content you regularly produce. Instead, proactively engage in conversations that will inform you about the things that can better serve them. It could be as simple as suggestions about improving their experience on your website, to the topics you cover, or understanding the demographic makeup of your audience. 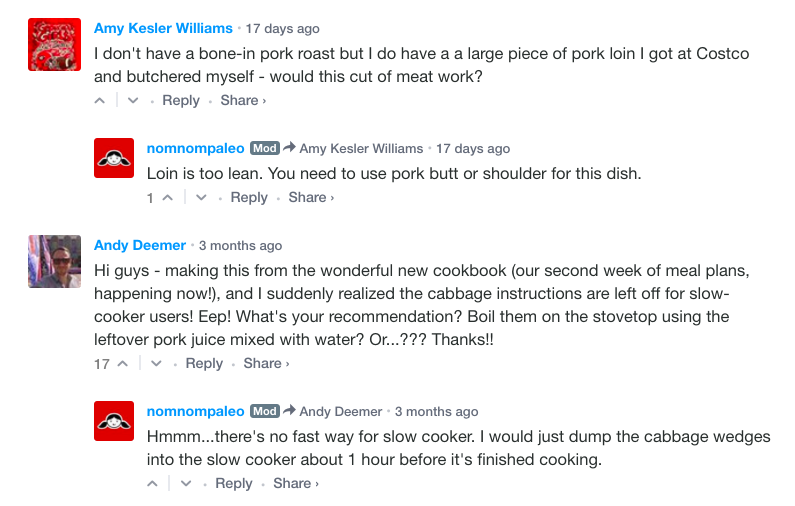 Use tools like Polldaddy and SurveyMonkey that complement commenting on your site to encourage a greater body of readers to respond with feedback. 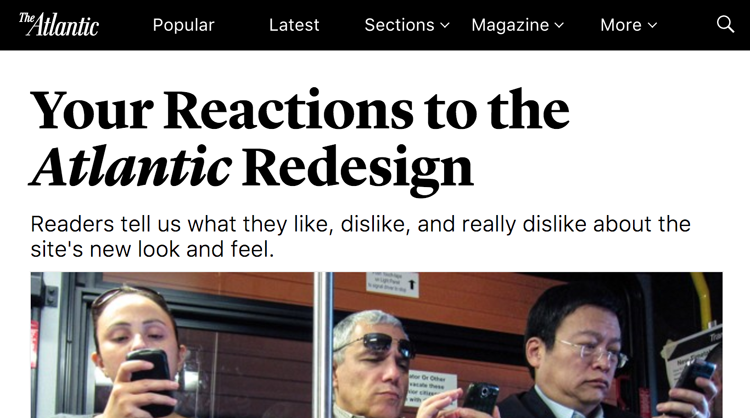 When The Atlantic launched a website redesign in 2015, they not only encouraged readers to share their thoughts about the changes, they published the different feedback they received. As a result, the follow up post garnered additional feedback for their team and showed that they were listening. When both readers and publications are responsive to each other, meaningful dialogue can develop and over time, become the norm.